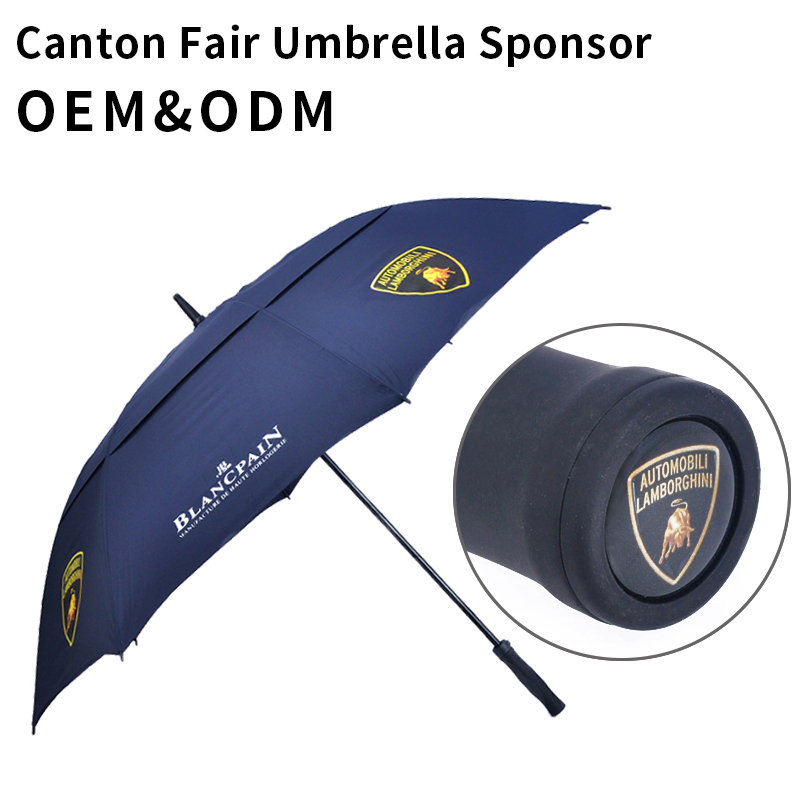 You can provide an AI/PSD/CDR format, we will make clear artwork for your final confirmation. Normally for 3-5days, a sample for USD16.00/pcs, if confirm the order more than 500pcs. can return the sample fee. 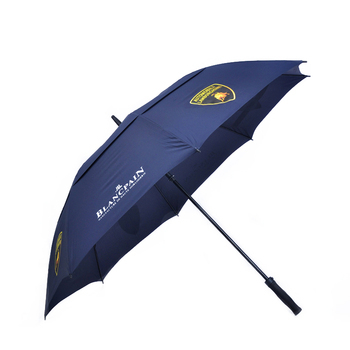 Rainscene is the third umbrella manufacturer in umbrella business. 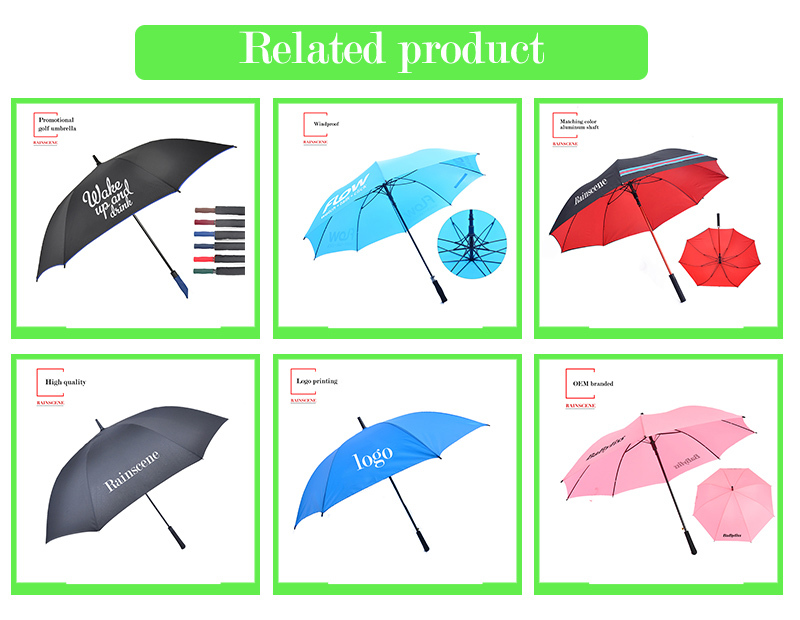 The first one is Tiantang company with 1.7 billion annual sales; a Shenzhen umbrella takes the second position targeting at the foreign market. 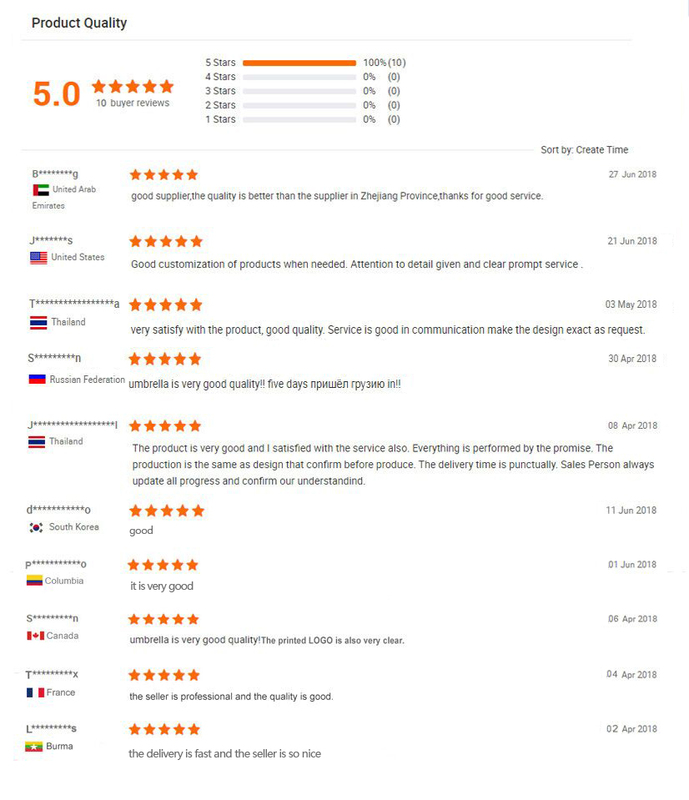 Focusing on gifts and Pursuing a reasonable price, good service as well as high quality for clients, we are confident to reach 100 million annual sales in two years.